The US voting system is different to the UK's and for that reason, we may well get the slightly odd scenario of Mitt Romney getting the most votes across the board, yet not being elected president. A scenario we already saw a decade ago when George Bush beat Al Gore because the former won the key state of Florida, says Paul Krishnamurty. "In 2000, Al Gore won the popular vote yet lost overall after the Supreme Court controversially ruled that George W Bush had won the key swing state of Florida." 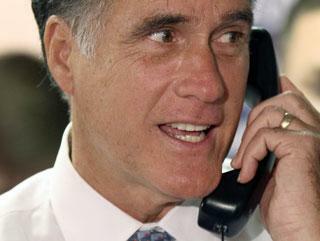 From a broad, national perspective, recent news has been encouraging for Mitt Romney backers. Close polls between the challenger and President Obama reflect the tightening betting, and the latest Rasmussen numbers actually recorded Romney's best this year. The economic recovery is stalling and Obama's flagship healthcare bill is potentially facing repeal by the Supreme Court. Winning the nationwide vote, however, does not guarantee the Presidency. Just like UK constituencies, what ultimately matters are the 50 state-wide contests, with each winner awarded a set number of votes towards a nationwide electoral college. Famously in 2000, Al Gore won the popular vote yet lost overall after the Supreme Court controversially ruled that George W Bush had won the key swing state of Florida. This time around, it may be the Republicans' turn to suffer under the electoral system. For once polls are measured state by state and the outlook changes from tight race to comfortable Obama victory. Each state represents a betting contest in it's own right and as election date nears, the most competitive will be previewed in greater detail. For now though, punters should familiarise themselves with this overall map. It estimates that there are nine 'toss-up' states likely to determine the Presidency. Although some scope remains for upsets in other states deemed to be 'leaning' one way, the relatively small number of votes involved reduces their significance. 115 electoral college votes are up for grabs in these nine swing states. Assuming there are no upsets in the other 41 states, Obama will need a further 53 votes to reach the winning line, whereas Romney would need 64. Without a significant turnaround, it is hard to see where the Republican will find that many. As it stands, none of the nine definitively favour Romney. Of the biggest three, Pennslyvania (20 votes) looks solid Obama; meaning Romney will almost certainly need to win both Florida (29) and Ohio (18). These are both possible, but the President has been ahead in four out of six polls conducted in Florida since the start of May. Ohio - one of only two which are effectively tied - is more promising. Elsewhere, even states Romney might have expected to win are going badly. Nevada (6), for instance, has a big Mormon population and a floundering economy, yet every poll this year has favoured Obama. New Hampshire (4) kickstarted Romney's successful Primary campaign and he was Governor in the neighbouring state, yet three out of four polls since the start of May favour Obama by an average of 6%. Alternatively, it is easy to map Obama's route to victory. In addition to Pennsylvania, the President is heavy favourite in Wisconsin (10) and Colorado (9). Those three states would leave him just 14 votes short - meaning he could possibly even afford to lose both Florida and Ohio. Obama is a [1.5] chance in Virginia (13), for example, where success would take him within 1 vote of overall victory.